When Berlin Gardens announced their #TakeLifeOutdoors Winter Photo Contest, we couldn’t let our location down in Florida make us miss out. So we put our own Sarasota twist on it, with a sand snowman and poly beach chairs! Shop all our poly furniture! Specifically, we loaded up the car with tools, drove out to the beach, and carried two Berlin Gardens poly adirondack chairs with us. 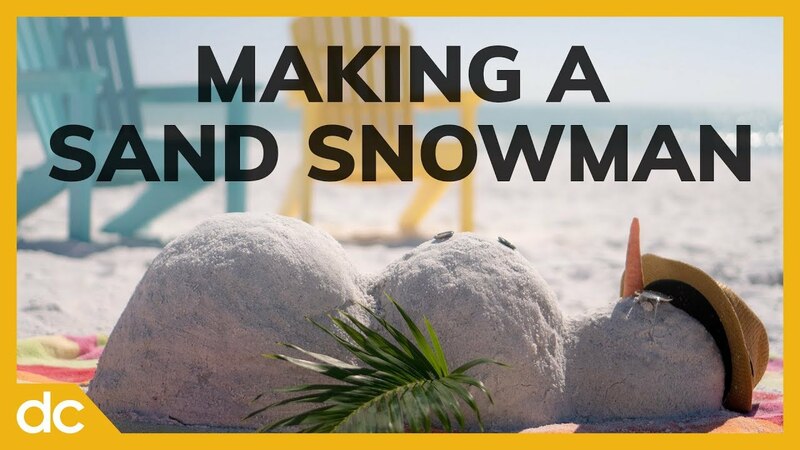 A snowman is one thing, but snowmen have to come down here to get their tan on. We made our first sand snowman to pair with the colorful poly adirondack chair for a photo contest picture. We decided to document the process with a timelapse video. With the sun shining on Lido Beach, the time-lapse video running, and the waves lapping we got to work. Watch and see how it all came together into the final photo submission for the contest.